After the war he served at Worthy Down (1919) Flower Down (1920) Baghdad (1921-22) Delhi & Simla (1923-24) Grantham (1925 & 27) Weston Zoyland (1926 & 27) Bicester (1928) Andover (1929) before moving to the Air Ministry 1930-31. 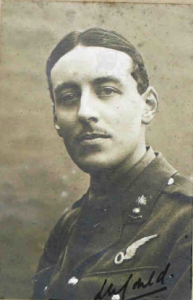 He was promoted to Wing Commander in 1928. While at the Air Ministry they lived at at Bemloe, War Coppice Rd, Caterham Surrey. 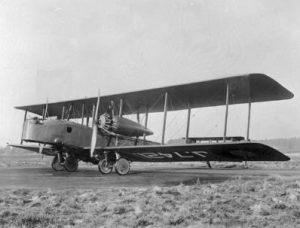 He moved on to command 502 (Ulster) Squadron a heavy night bomber Sqn based at RAF Aldergrove, Belfast (1932-33). On promotion to Group Captain he took command of the School of Naval Cooperation at Lee on Solent (1934-35). He was at Coastal Command (1936-39) then RAF Cranwell (1940-41). It was while serving at Cranwell (possibly Standards Squadron) that they presumably moved to Fulbeck, where they lived in The Cottage. 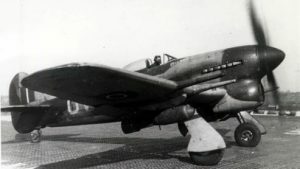 In 1942 Lionel moved to RAF Penrhos (an advanced flying training unit in North Wales) and later served in India, Iraq and in the Air Ministry Signals Branch. In 1943 he was given the temporary rank of commander in the Royal Navy. Barbara seems to have stayed at The Cottage during the war. Their son Auriol Stephen Nutcombe Gould was born in Sudbury, Essex in 1922. During WW2 he joined the RAF as a pilot. 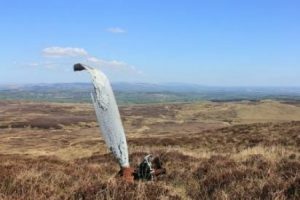 On 24 Jan 1943 he was a Flying Officer, piloting a Hawker Typhoon of 197 Sqn from RAF Drem (East of Edinburgh) when it crashed Queenside Hill, south west of Glasgow. He was buried at Queensferry. After the war Lionel retired from the RAF. In Jan 1947 he visited his brother (Commander JC Gould, Royal Navy) at his house at 10 Radlett Park Road, Radlett, Hertfordshire. The morning after his arrival his brother found him dead in a gas filled room. It was suggested that a gas pipe had become disconnected as he tried to light the fire. He is buried in Fulbeck Churchyard. Barbara put The Cottage up for sale in 1948. She died in Hampshire in 1989.